Announcement Welcome to the studio! 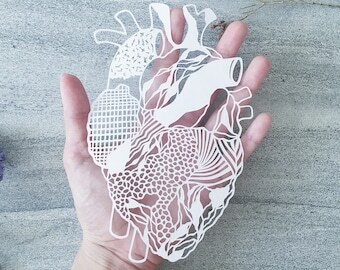 Awesome news: Paperhugger has been chosen as one of Etsy Editors' Picks from their blog (etsy.me/2uzVVaZ), Editors' Picks for engagament and wedding gifts (etsy.me/2zaYhjM), and one more time for Etsy's Gift Guide for Anniversaries (etsy.me/2slxi13)! 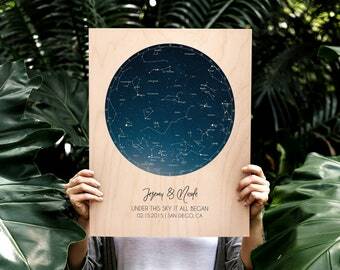 You can also check out my latest feature in Etsy's blog post about 15 up and coming shops from across the USA (etsy.me/2KxOqZ8). 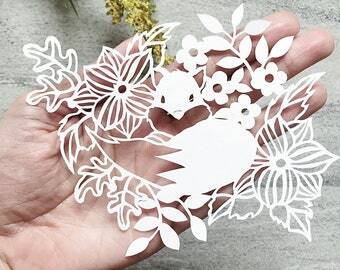 Each handcut paper art is one of a kind and no two items are alike. Custom orders are very much welcome. You can check my Instagram stories (@yangcuevo) for real time updates on new pieces that I am working on. (: If you bought a piece or created something inspired by my craft, please tag me so I can feature you in my social media accounts! (: Thank you for being here! 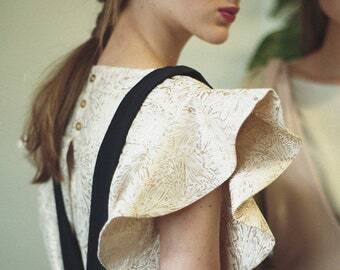 *As seen on Etsy Journal, Framebridge, The Chicago Reader, Preview Magazine, Tidewater and Tulle, Rising Tide, and Lyrical Host. Welcome to the studio! Awesome news: Paperhugger has been chosen as one of Etsy Editors' Picks from their blog (etsy.me/2uzVVaZ), Editors' Picks for engagament and wedding gifts (etsy.me/2zaYhjM), and one more time for Etsy's Gift Guide for Anniversaries (etsy.me/2slxi13)! 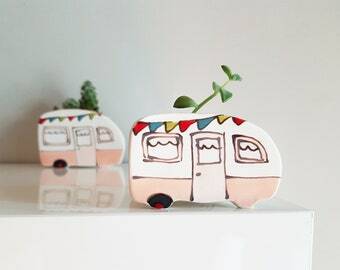 You can also check out my latest feature in Etsy's blog post about 15 up and coming shops from across the USA (etsy.me/2KxOqZ8). 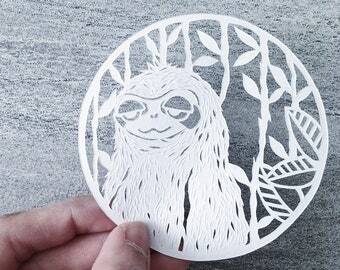 I take time to illustrate the best drawings that will translate to an eye-catching papercut art. 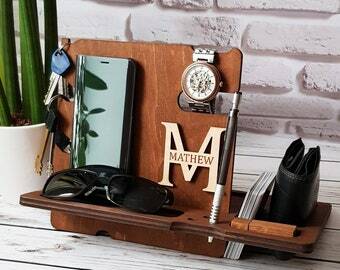 Your orders are carefully packed in an acid-free plastic sleeve & sturdy chipboard with a sweet personalized detail. 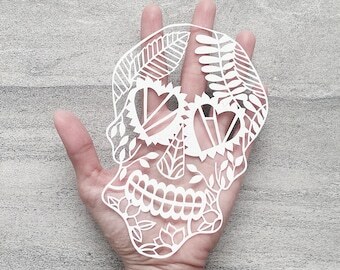 Custom and ready-made papercut creations for a unique and standout art display in your home. 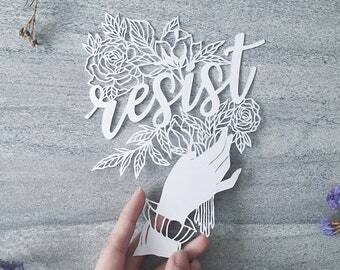 From whimsical, to sentimental, to quirky, to kickass -- Paperhugger Studio offers delicately designed and handmade paper art. 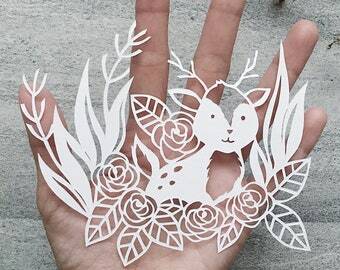 Each papercut piece is one of a kind and no two items are alike. Custom orders are very much welcome. 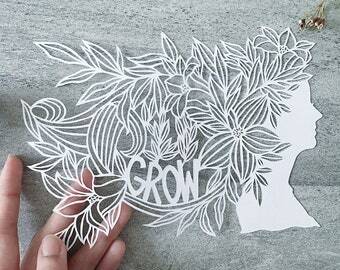 Trying out papercutting in 2013 took me by surprise. I was fortunate to be offered to take part in a benefit exhibition that year. 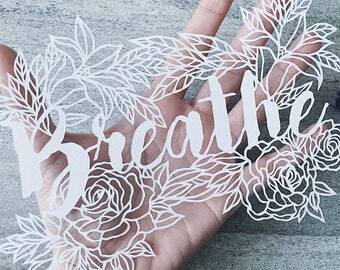 I had two papercut artworks custom-framed and auctioned for the benefit of typhoon victims in the Philippines. That was a priceless experience. Being able to make art and show it actually did me more favor than the other way around. It saved me. And if you bought a piece or created something inspired by my craft, please tag me (@yangcuevo) so I can feature you in my social media accounts. (: Thank you for being here!